Chop all the vegetables and collect all the ingredients. Heat oil in a pan, add cumin and fennel seeds. Add onion and fry it and add carrot and beans and add salt. Let it fry for few minutes and add greenchilli,cabbage and capsicum. Fry for another few minutes and and add tomotoes and peas. Now add turmeric powder,chillipowder,garam masala and pepper powder. Add chaat masala,check the salt and remove from flame after it is done. Now add lemon juice and and give a good stir. Hmmm yummy vegetable stuffing is ready. Make the dough using atta flour with milk. 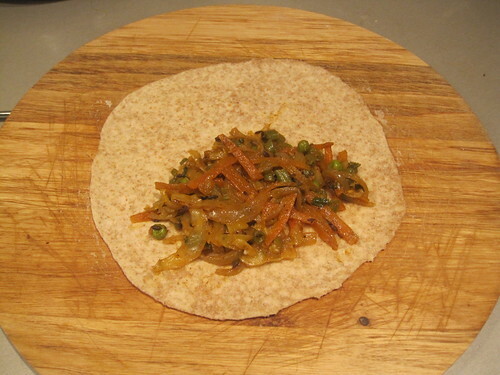 Make small dumplings and roll it to a circle rotis. Now rotis are also ready. 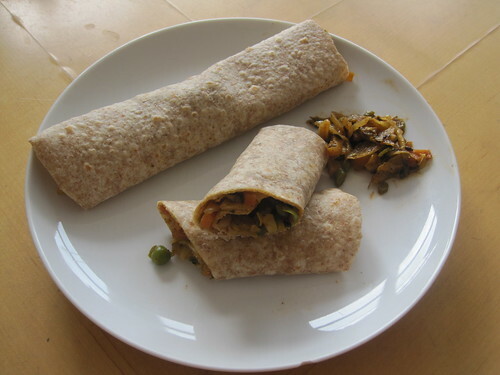 ﻿Take a roti and two spoon of vegetable stuffing. 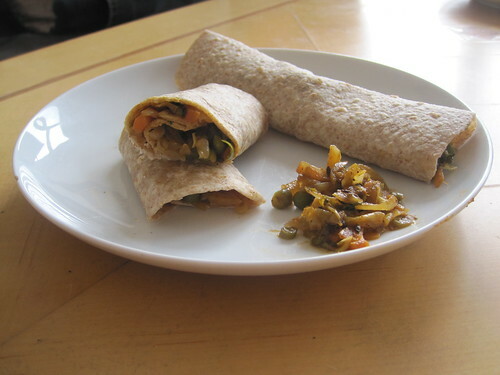 Keep the vegetable stuffing in roti. Roll it and hold it well. Cover it Kitchen foil to remain soft. Now,Yummy frankies are ready to serve. Frankies can be served as breakfast with curd and tomato ketchup . 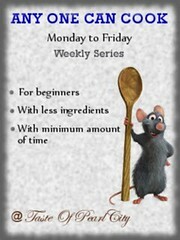 I am sending this recipe to Akila's Dish Name Starts With F Event. I am also sending this recipe to Umm Mymoonah's Any One Can Cook Series. My recipe belongs to FB. This is a complete meal for the kids..i would love to grab it too. This look so good, simple and nutritious one. very delightful meal it is for my son... only that the stuffing goes one way and roti the other.. but rolled frankies are my all time favs. 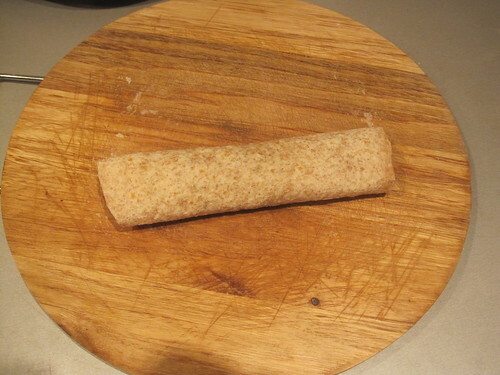 The rotis are very soft using milk, nice rolls.